This disclosure about the activities of a possible cartel also has to be vital. What started as one order in an Indian Railways case in early 2017 for cartelisation in the brushless DC fans sector soon extended to other areas within the next year and a half. Sectors like zinc-carbon batteries, sports broadcasting, and municipal organic and inorganic solid waste have seen lesser penalty provisions being applied to find instances of cartelisation. Experts agree that there has there been an uptick in the number of cases. There are nearly a hundred cases of leniency in the pipeline, according to Rahul Singh, director, Institute of Competition Law and Economics & Associate Professor of Law, National Law School of India University, Bengaluru. Filing of these types of cases have gone up exponentially, said Vaibhav Gaggar, managing partner at Gaggar and Associates, a law firm. This increase in cases of lesser penalty can be ascribed to a few reasons. For Gaggar, the reasons were four-fold. 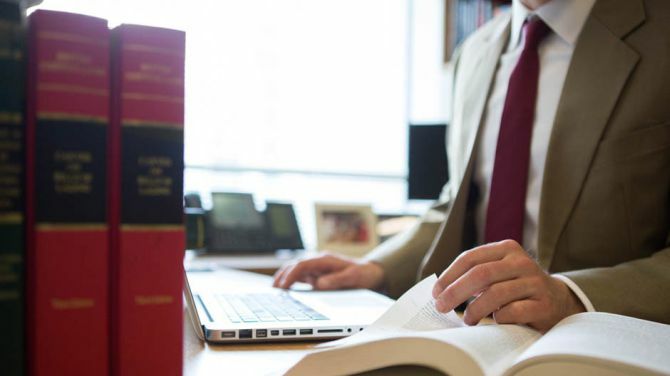 He listed greater awareness of the competition regime, multinational corporations with global presence filing in different jurisdictions, easier outlets for firms facing large penalties, and the aspect of confidentiality as reasons why more number of leniency cases were being filed. Singh said that there were both push and pull factors at play. “Given the cross-border implications of competition and many entities being multinational corporations, culturally they are attuned to lesser penalty provisions or leniency petitions,” he said. In terms of pull factors, he also highlighted the scope for lower penalties as a significant reason. “Especially now, with the National Company Law Appellate Tribunal (NCLAT) upholding the CCI order imposing Rs 6,300 crore penalty in the cement cartel case, it is clear that the CCI is gaining traction,” he said. It is a signal to companies that these cases will be taken up seriously, he added. The amendments to the Lesser Penalty Regulations also caused an increase in the number of cases being filed, according to Nisha Kaur Uberoi, partner and national head for competition law practice at Trilegal, a law firm. The Lesser Penalty Regulations were first passed in 2009. They underwent amendments in August 2017, which made available information on leniency case to third parties not part of the case among other changes. “This is a reason why leniency petitions are encouraged across regimes because cartels are difficult to investigate. Here, an insider is giving you the information. It is easier to investigate, inexpensive, and there isn’t much opposition from the other players either. "It will have a huge impact in reducing cartelisation among players because that trust is broken,” Gaggar said. The kind of evidence received in cartel cases will also become sounder. “In leniency cases, the evidence is not so circumstantial. The leniency applicant has to give substantial information, that there was information exchanged and that firms acted on the basis of such information. The evidence gathering mechanism will become robust,” Uberoi said. Looking beyond the lesser penalty regime, in its 10th year of existence, the CCI needs more branches, according to experts. As a comparison, Uberoi said that the capital market regulator, Securities and Exchange Board of India, had 19 offices, whereas the CCI had one. “The CCI is one of the foremost regulators, across sectors. It is high time that the CCI opened branches, particularly in Mumbai,” Uberoi said. The role of the CCI is not limited to enforcement of competition law, but also ensuring there’s greater ease of doing business, she added.